A Real-bearded, year-round professional Santa living in North Texas via the North Pole. Here to bring Love, Hope and Joy to children of all ages. Photo sessions, gift distribution, story time, and even a Musical Christmas trivia game. 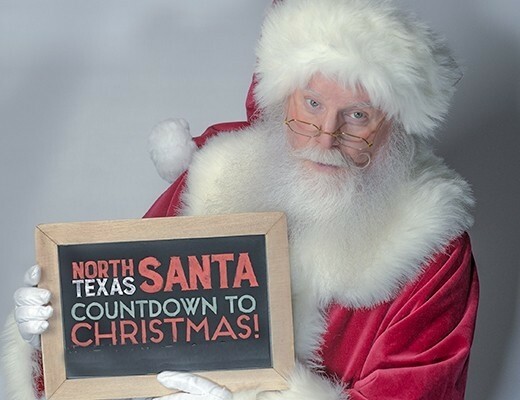 North Texas Santa® is a professionally-trained Santa with a naturally white Real Beard, a graduate of Santa Claus University. He is actually a retired advertising marketing/PR are and creative director who developed nationally known commercials and currently serves as a Freelance Designer/ Photographer in the off season. 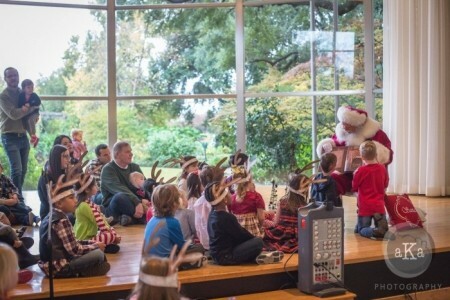 Depending on the venue, Santa will participate in any way you wish at your event. 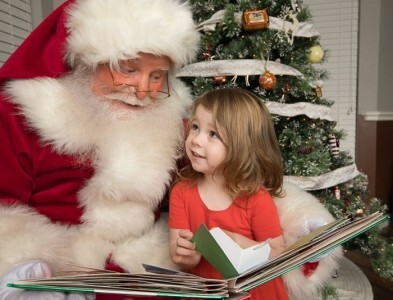 Visits and requests with children "of all ages", Story time with a variety of books, Musical Christmas trivia games, and more. Attention Profess ... ional Photographers! North Texas Santa loves to participate in Studio family portrait sessions. Since he knows both sides of a camera, he knows how to get great poses. North Texas Santa wears a traditional Santa Suit, custom-made for him by the same company that serves the major movie studios. He also uses professional photo make up. That was his very first “Santa-Spotting” as he now calls them. In December of that year, he created "Santa's Photo Studio” for a local organization he supports that helps young people shape their lives for the better. Each child visited with “Santa George”, told him what they wanted and then Santa took their photo, which was magically/instantly printed. The children then assembled the photo in a nice frame, wrapped it and gave it someone important to them. Because giving to others is what Christmas is all about. He started volunteering for local Elementary Schools PTA Christmas Parties (as an approved/certified school Volunteer), local Tree Lightings, and hospital visits. But he knew he needed to expand his “Santa skill set”. So, he joined Lone Star Santas Charities LLC in Texas, and joined them in bringing toys to children who’s homes were leveled by tornadoes just two days after Christmas. At that time several Lone Star Santa members suggested that he had the “right stuff” along with a naturally-white beard and should consider going “professional”. They pointed him towards several good Santa Schools and Universities. So he attended and enhanced deeply his knowledge of all things Santa. He earned a Masters degree, and is continually expanding is education and specialties. Now a professional year-round Santa, he gets "Santa-Spotted" almost every day. 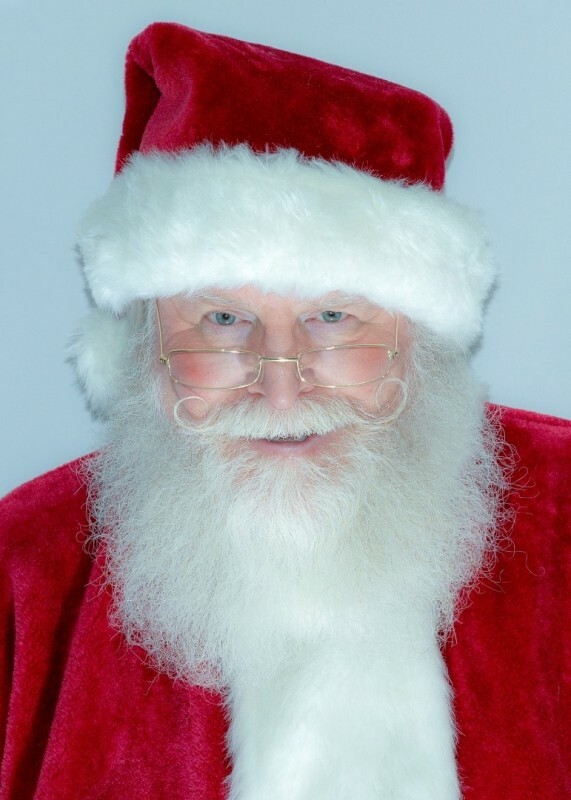 He runs 5K races as Santa all year long, has more hair care products and make-up than his spouse, and keeps a little pack of "I saw Santa" nice/naughty guide cards in his pocket to spread Hope, Love and Joy to Kids of all ages whenever they recognize him. His mission is to remind every person of the importance to keep Christmas in his or her heart every day of the year. In 2017 he received full trademark registration for North Texas Santa and it is now a registered trademark. All rights reserved. Since 2013 North Texas Santa® has participated in each of these types of events: He has appeared on Good Morning Texas WFAA in Dallas, Corporate events for major holiday media companies, Trade Shows, Civic Tree Lightings and Parades for two cities, Private Parties throughout North Texas, Holiday Concert Appearances for Nationally known Orchestras, Hundreds of Home Visits and Family Holiday and Birthday Parties, Dozens of Professional Studio Photography Sessions and Mini Photo Sessions, Several Breakfast with Santa events three years running, Numerous Retail Promotions, Several Pet Portrait se ... ssions, Dozens of Restaurant Appearances, School Events, Church Events, Daycare Center Events, Nursing Homes and Senior Living Centers, Real Estate Promotions and Holiday Open Houses, Christmas In June Events and Christmas in July Events. Santa was so amazing!! Took his time with the kids, especially the ones who weren't too sure about him at first. But by the time the kids left they were best friends. Santa made my "Santa and Me" mini sessions my absolute favorite of the year! Can't wait till next year! He is the real deal! North Texas Santa recently placed smiles on the faces of Marines and their families at a holiday party. He was punctual, engaging, passed out pr ... esents, and posed for lots of pictures. His rosie cheeks, real beard, and Santa personality were perfect. Everyone loved North Texas Santa and he is highly recommended. North Texas Santa is all you are hoping for and more! He is animated, very engaging with the kids and adults alike, and can really shine before the camera! Lots of energy, but quiet and patient with the kids who need time to warm up to him! 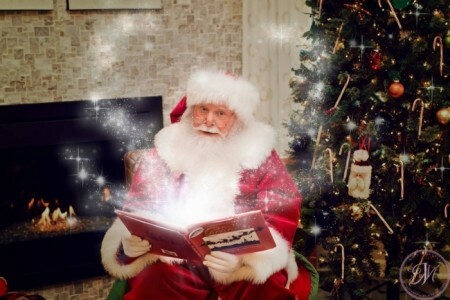 He is great to listening to their Santa letters, reading them stories, and getting them to tell him all their news! Our pictures are amazing! Came promptly on time and parked his sleigh on the street. He was at our house last year and had those kids engaged and same occurred this year. The parents and grandparents had fun too. ........,we’re still kids at heart. Making family memories. Santa was awesome & very engaging with the kids. Made it a fun experience! 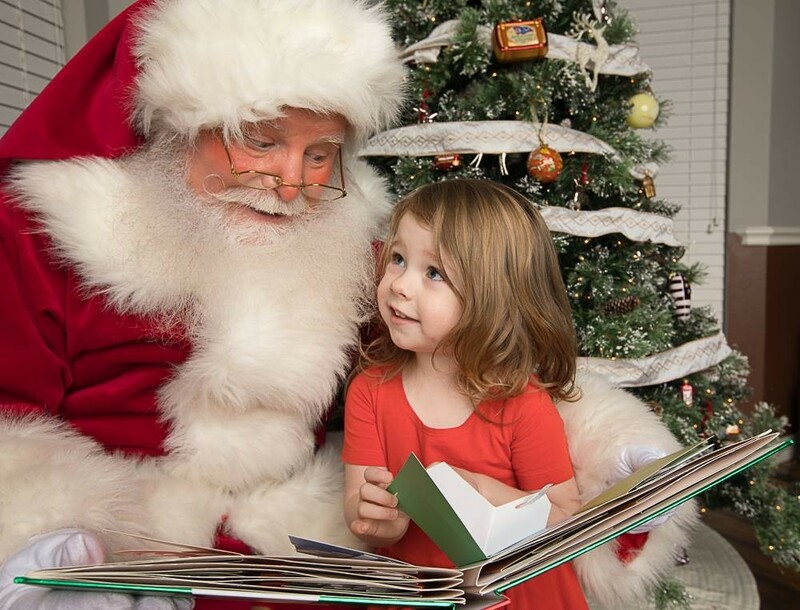 Santa was absolutely magical with our grandchildren. Their ages ranged from 1 to 6 and some where a little shy, but he has such a wonderful way with children that they all warmed up to him within just a few short minutes. He told stories, ask questions and before we knew it all the children were right by him listening to every word. He was excellent!! Thank you so much for making our party so memorable and special. We were so impressed! Santa was the best. He even got the shy kids to warm up to him. Between his stories, playing the harmonica, and just hanging out with the kids he made the party fun for everyone! North Texas Santa was incredible! He was so great with all the children, really engaging, super sweet and very patient! Would highly recommend him! North Texas Santa is professional and really takes the character seriously. All communications are clear and in character prior to the event. During the event he was patient and great with our community, families and pets! He was so great! All of the kids loved him and had a blast. His pictures don't lie! And he is the sweetest. Super helpful and interactive with everyone. Second year to have him. We have hired a lot of Santa’s over the years and he was the best. Interacted great with the kids, punctual, and personable. Thank you! He was great to work with, communicated well about event details, on time, cheerful and it seemed like magic came in the room with him. North Texas Santa is absolutely the best Santa ever! This is the second year we have hired North Texas Santa. He is very professional and great to work with. His costume and makeup are meticulous, and he plays his part to perfection with engaging expressions and genuine laughter. He is great with both kids and dogs. He has a detailed knowledge of the folklore surrounding Santa and even knows about related customs from other cultures. I highly recommend him. Santa was fantastic! The kids loved him and his natural way of interacting with the two children girl 6 boy 5 was fantastic. He read them 2 books and they were glued to his every word. He used humor to inject a bit of education several times. All told, North Texas Santa will be remembered (and I'll book him again next year)!!! Excellent Santa, the kids LOVED him. He was super professional and so sweet to talk to. Definitely will use again year after year! North Texas Santa is fully insured and has multiple national background checks and can produce full documentation, if required. He is an associate board member of Lone Star Santas, LLC, the International Brotherhood of Real Bearded Santas and Knights of St. Nicholas, and is also a volunteer in the HEB Independent School District.